NorSat-3 is a new microsatellite in the NorSat series. Similar to its predecessors, NorSat-1 and NorSat-2, the new satellite will fly an AIS receiver to detect anti-collision signals from ships. But NorSat-3 will be more advanced by also having an experimental navigational radar detector (NRD) onboard. The new satellite is primarily a technology demonstrator, but will also help improve the monitoring of maritime traffic. Minister of Defence, Frank Bakke-Jensen, stated in his speech in Oslo Military Society (Oslo Militære Samfund) on the 8th of January 2018 that the Norwegian government’s space strategy aims to make Norway a leading space nation in the Arctic. Bakke-Jensen also said that advances in microsatellite technology enable smaller nations to develop resources in space. 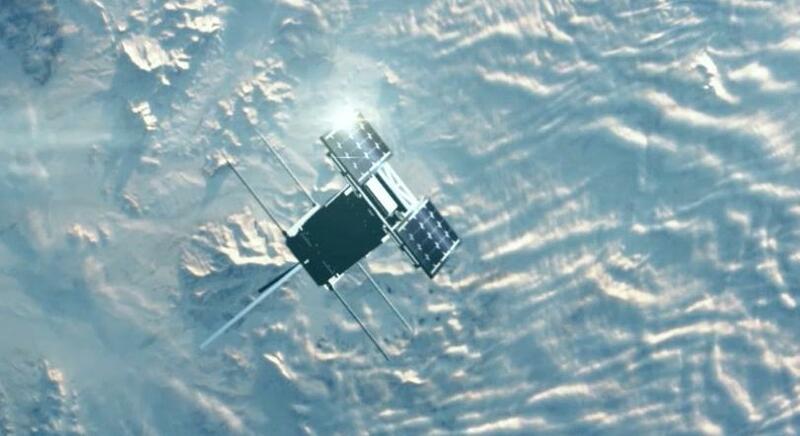 "Norway has already launched four such satellites. Another three are planned for launch in the years ahead, and there will be more," Bakke-Jensen said. NorSat-3 will help maintain Norway’s constellation of satellites for maritime monitoring, which currently consists of four satellites, including two that are now past their expected life span. By detecting signals from the anti-collision system AIS, which all ships above 300 gross tonnes are required to carry, Norwegian satellites with AIS receivers have registered and tracked ships worldwide since 2010 when the first AIS satellite was launched. The combination of AIS receiver with radar detector will provide an even more accurate picture of maritime traffic for the Norwegian Coastal Administration (Kystverket), the Norwegian Armed Forces (Forsvaret) and other authorities. The new satellite will be financed and owned by the Norwegian Coastal Administration, while the Norwegian Space Centre will manage the project. The NRD payload itself is developed by the Norwegian Defence Research Establishment (FFI) and financed by the Norwegian Ministry of Defence. - It is nevertheless important to emphasize that NorSat-3 is a civilian satellite which will detect only the signals from frequencies which the International Maritime Organization has allocated for civil navigational radars, says Jon Harr, project manager for NorSat-3 at the Norwegian Space Centre. Never before have public agencies obtained such an accurate picture of the maritime traffic in Norwegian waters, at Svalbard and in the rest of the Arctic, including the Northeast Passage, as they have following the launch of the two Norwegian AIS satellites and NorSat-1 and -2 in 2017. - The AIS-satellites have been a game changer for the civilian maritime traffic monitoring and affords us unique information about the traffic in our waters, says Arve Dimmen, Director for Maritime Safety at the Norwegian Coastal Administration. But AIS signals alone do not necessarily give the complete picture of traffic at sea. Technical errors may occur and interference or manipulation of information are possible problems. By including additional signals from the ships, such as from the required navigational radar, these risks will be greatly reduced. Comparisons between AIS and additional signal sources will give a more complete and accurate picture. The monitoring is also made more effective by prioritizing ships with deviating AIS reporting. International regulations require ships to use both AIS and navigational radar. Thus, NorSat-3 can help verify that ships in traffic meet those regulations. The NorSat series of microsatellites is a continued cooperation between the Norwegian Coastal Administration and the Norwegian Space Centre. In addition to AIS receivers, these satellites also carry payloads from several Norwegian companies and research institutions. The NRD receiver and processing unit on NorSat-3 will be built by the Norwegian company Kongsberg Seatex, based on prototypes from FFI. This company also made the AIS receiver for the other Norwegian microsatellites. FFI develops the NRD antenna and the software for processing signals from the antenna to the user systems. All the NorSat satellites have been built by UTIAS SFL at the University of Toronto. NorSat-3 will be operated by Statsat, as are the other AIS-satellites. - The Norsat-3 project is well underway and we passed a successful Preliminary Design Review in December 2017. We are on an ambitious schedule and aim to have the satellite ready for launch before the end of 2019, says Harr. AISSat-1, Norway’s first national satellite was launched on the 12th of July 2010 from India. AISSat-1 weighs 6 kilos and measures 20 x 20 x 20 centimeters. This satellite was primarily meant as a technology demonstrator to show that it is possible to receive AIS signals in space, but the satellite functioned so well that it was soon put into operational use. AISSat-1’s success led to the development of a twin satellite, AISSat-2, launched on the 8th of July 2014. A third twin satellite, AISSat-3 was lost during launch from Russia in November 2017. NorSat-1 has a Swiss instrument for solar research and Langmuir probes for examining the aurora borealis. NorSat-2 is testing VDES, a new international standard for two way communication at sea. These satellites were launched simultaneously from Kazakhstan on the 14th of July 2017. NorSat-3 will, in addition to AIS, demonstrate a navigational radar detector. AIS is an automatic identification system introduced by the UN International Maritime Organization to increase safety for ships and the environment, and to improve the regulation and monitoring of maritime traffic. AIS transponders onboard ships send out information about the ship’s identity, position, speed and bearing. This information is picked up by the Norwegian Coastal Administration’s AIS chain on land, named AIS Norge consisting of 50 stations along the coast, and the satellites AISSat-1, AISSat-2, NorSat-1 and NorSat-2.